Traveling I-95 Southbound: Take exit 6 for Martin Luther King Blvd. Stay on N. Jackson Street. At 3rd Light take a left onto Lancaster Ave./MLK Blvd. At 4th Light take a right onto Justison Street. Follow Justison Street to the parking lot for Dravo Plaza. Ubon faces the Riverwalk. Traveling I-95 North: Take exit 6 for Martin Luther King Blvd. Turn right on Maryland Ave. Turn right on Lancaster Ave./MLK Blvd. At 1st Light take a right onto Justison Street. Follow Justison Street to the parking lot for Dravo Plaza. Ubon faces the Riverwalk. Welcome to UBON, Wilmington’s most exciting destination for intoxicating Thai food and vibrant nightlife. 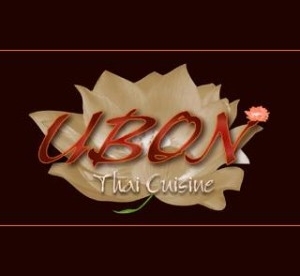 Located in Wilmington?s Shipyard District, UBON combines an enchanting atmosphere with delicious, high-quality Thai food. Our recipes have been passed down through three generations of our family and represent the fusion of traditional central Thai dishes with northeastern Thai and feature a subtle modern influence that makes our menu the most unique dining experience in the area. We proudly offer our guest a variety of ways to enjoy an afternoon lunch, an intimate dinner, evening out, or a corporate event. From our dining area which welcomes you to dine, to our luxurious Lotus lounge & Bar, or sit back, relax and enjoy the skyline view with our Mekong Lounge.